We recognize that you and your family will live with the results of our work. Our design, construction remodeling and installation. Our Kitchen Remodeling experts know how to listen and deliver with your objectives and desires in mind while maintaining affordable prices for any kitchen remodeling budget. 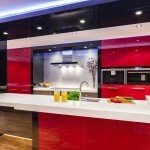 We provide Kitchen Remodeling Services in Los Angeles and the San Fernando area. 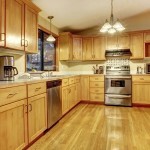 Let us remodel your entire kitchen and transform what currently exists into your ideal cooking space! Contact us for a free in home consultation. If you have found our page chances are you are in the market for a general contractor in Los Angeles for Kitchen Remodeling. We are the crew for you! time to convert your kitchen into the room you’ve always dreamed about. Our designers will work with you from the time of initial consultation through the completion of the project. 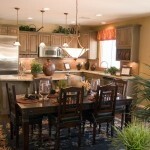 Let us help you plan, design and create a new kitchen for your lifestyle and your budget. Kitchen remodeling Los Angeles is one of the most popular home improvement projects in the nation for a very simple reason: it pays off. Not only does it make your home more functional, it adds value to your property in a way that few other projects can. In Los Angeles, kitchen remodeling is a fantastic choice when you’re looking to both increase efficiency and boost the desirability of you home, as well. When you look at the statistics, Los Angeles kitchen remodels are simply a better investment than other improvement projects in the area, and generally recover more of the initial construction costs in added resale value than similar jobs in other cities! 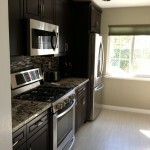 Minor kitchen remodeling Los Angeles. In some cases a home owner might not be best suited for complete kitchen remodeling. Los Angeles homes that are relatively old are extremely good candidates for a few minor upgrades like Kitchen Remodeling Los Angeles. It is said that, in the world of real estate, upgrading something classic to fit in with modern living is one of the most profitable jobs you can enter into. By keeping many of the existing components of an older house intact, but increasing its function and adding a few contemporary items, smaller Los Angeles kitchen remodels are appealing to two things that most homeowners prize: a sense of history and the best of modern convenience. Holding on to original craftsmanship, but replacing old plumbing and wiring might be just the thing to set you home apart from both historic properties, and new constructions alike. 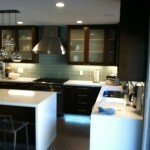 Major kitchen remodeling Los Angeles. When dealing with a property that is simply too “lived in” to be restored properly, your best option might be overhaul-type kitchen remodeling. Los Angeles homes that require this degree of attention are basically a blank slate, as they probably need some serious work in other areas like bed and bathrooms, too. Here at Kitchen Remodeling Los Angeles we know it is important to spend your money where it will do the most good, and have the most noticeable results. While increasing storage space in a bedroom is never a bad idea, if it comes down to deciding between a walk-in closet that isn’t really on display and putting in a new tile floor in the kitchen to replace the linoleum that’s falling apart, the choice should be obvious. For a free in home consultation please contact us at 323-384-8855.